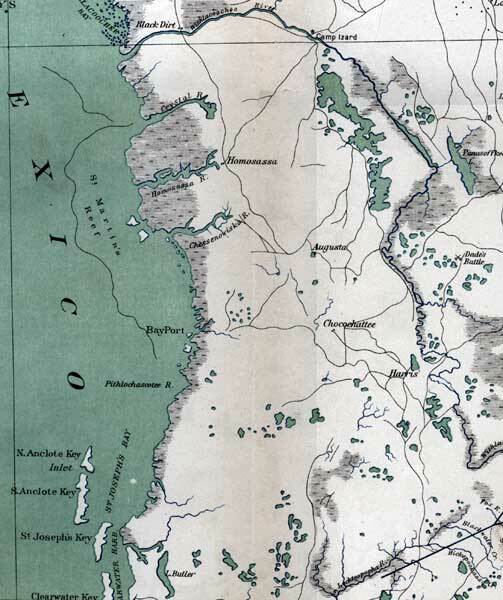 Description: This detail of a map of Florida shows topographical information for Hernando County in 1865. Swampland is depicted in thin horizontal lines. Rivers are colored in blue while lakes and ponds are colored with green. Railroads, roads, and towns are also shown. Some of these features include Crystal River and Bayport.